The Grand InterContinental Seoul is proud to announce that Mr. Ivan Susanj, at 35, has joined the hotel as new Executive Chef. Mr. Susanj will be responsible for food served in 535 guest rooms, 13 restaurants and bars in addition to the 15 banquet and meeting facilities at the Grand InterContinental Seoul. As an Australian native, he began his career in 1986 in Melbourne. 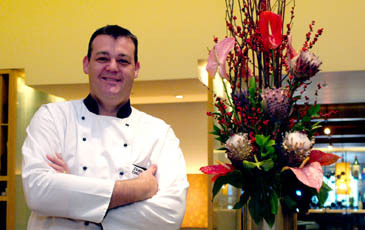 Prior to his appointment to Seoul, he was Executive Chef of Shangri-La's Fijian Resort and Shangri-La Hotel Kowloon, Hong Kong. Mr. Susanj is known for being highly organized, self-motivated and the high standards he has for his cuisine. He enjoys new challenges and team work. He graduated from Crown College with a degree in management and studied at Dandenong College of TAFE where he had a four-year apprenticeship in Cookery. He looks forward to experiencing Korean traditional culture, local foods, and meeting new people and while in Korea plans to enjoy his hobbies such as tennis and basketball.